UW Recycling recycles plastic film, which includes clean plastic bags, bubble wrap, air pillows (deflated) and shrink wrap. Plastic bags and shrink wrap that have contained food or are contaminated in any way are not permitted; put these items into the trash. Consolidate clean, dry plastic film in a clear plastic bag. If your department accumulates larger amounts of plastic film, bag all of it immediately together, and tie the bag off for recycling. 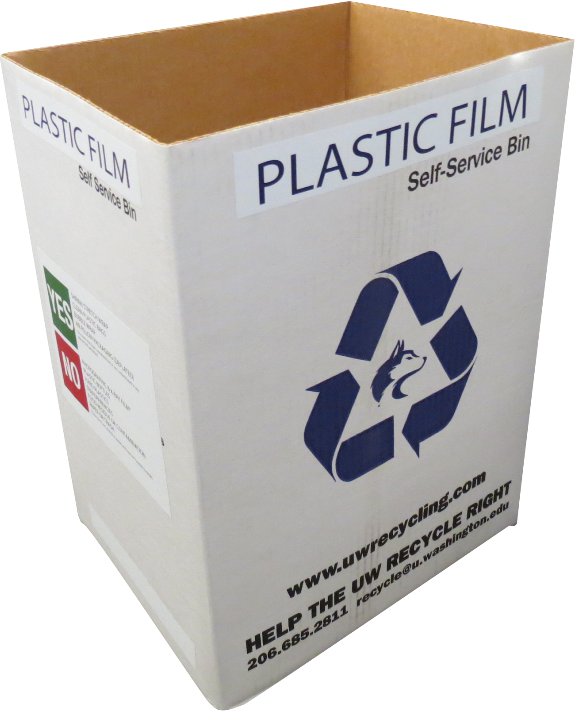 If your department does not accumulate that much plastic film at one time, UW Recycling offers a free self-service box to collect plastic film internally. Once enough film accumulates, tie the bag off for recycling. 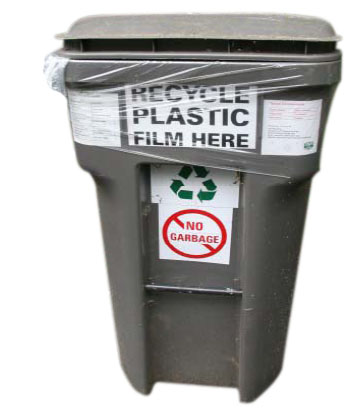 Place the filled bag in a Mixed Recycling container in your building or outside in the building’s recycling and waste service area, or in a plastic film recycling toter (pictured) if your building has one in its service area.